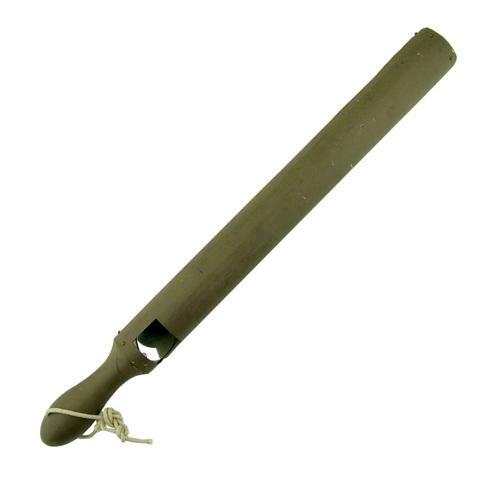 First World War Trench periscope of basic design manufactured in drab painted steel with a wooden handle. Approximately 55 x 5cm. When obtained both oval mirrors were missing so these have been replaced. Some dents and scratches. The handle has minor woodworm (treated). Stock code BO4719.